Mustang is almost rectangular landmass protruding into Tibet in the trans-Himalayas of Nepal. 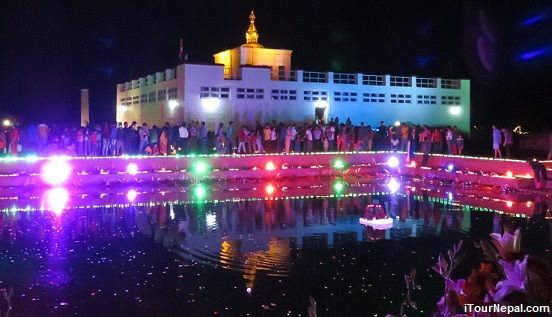 Geographically and culturally Mustang is Tibet but politically it is in Nepal. 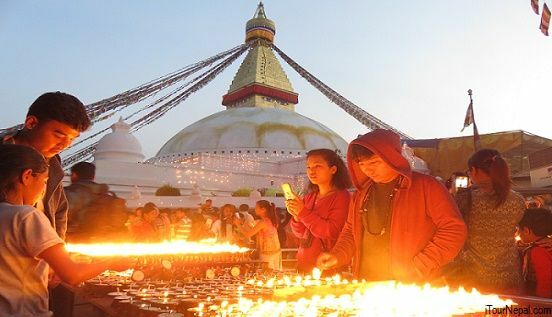 The Himalayan citadel and the b Buddhist belief of nonviolence spared Mustang of strife in Tibet and Nepal. Hence Mustang is one of few places in the Himalayas which is living history of the civilization once prevailed across the Himalayas. In 1955 a Frenchman, Michael Pascal became the first European to trek 15 days to the kingdom of Mustang. He discovered Mustang as a medieval world where the wheels are not used, the earth was believed flat and polyandry practiced. Take early morning flight to Jomsom (2,705m/8,900ft), the administrative centre for the Mustang district of Nepal. En-route we fly between Annapurna I (8,055m/26,500ft) and Dhaulagiri (8,146m/26,800ft). We will meet our porters in Jomsom and trek 8km (4hrs) to Kagbeni, which is situated at the confluence of the Jhong Khola (river) and the Kali Gandaki River. The trek to Chele is 18km (7 hrs) from Kagbeni, where we head north along the Kali Gandaki River. The trail goes up and down for two hours to avoid the many river crossings, and then climbs steeply to a plateau avoiding a vertical-walled bluff ahead. From here it is a gradual climb to Tangbe (4 hrs). The trail climbs to 3,100m/10,199ft and then drops steeply to the banks of the Kali Gandaki. We will walk along the river bed crossing to the western bank before making a small climb to Chele. The trail climbs to Taklam La Pass (3,624m/11,923 ft) through plateaus and narrow stretches with views of Tilicho Peak, Yakawa Kang, Nilgiri and Damodar Danda. It then descends a little to the village of Samar, altogether three hours from Chele. Between Samar and Geling the trail remains over 3,700m/12,173ft, so the group should be well acclimatized to camp in between. The first campsite arrives after two hours of climbing (mostly gradual), but only provides camping for a few tents. Another camp ground with nicer prospects is just one hour further. 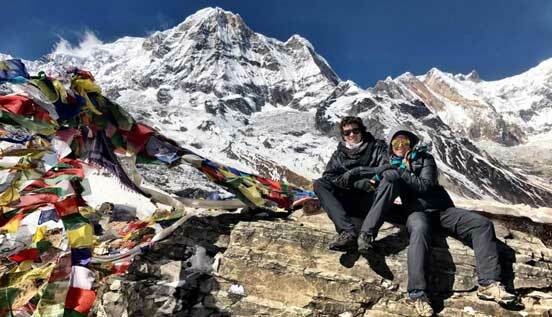 The trail gently climbs to the Yamda La (3,850m /12,667ft) passing teahouses, chortens and Tibetan-influenced villages, and crosses over a few other passes. The longer climb will be to Nyi Pass (4,010m/13,193ft) after lunch, the trail then steeply descends to Ghame. This is an easy trekking day of 11km (4 hrs) to Tsarang. After crossing Ghame Khola below Ghame, the trail climbs to a plateau and passes beside a very long mani wall. From the end of the wall the trail heads east to Tsarang, gradually climbing and then descending. 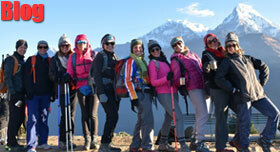 The 13km (5 hrs) trek to Lomangthang hosts magnificent views of Nilgiri, Tilicho, Annapurna I and Bhrikuti peak. The trail first descends to Tsarang Chu Canyon and then climbs steeply after crossing the river. Further the trail ascends gently to the 3,850m windy pass of Lo, from where you can see the Lomanthang Valley. While descending to Lomangthang, views of the walled city appear magnificent with its hills on the Tibetan Border. 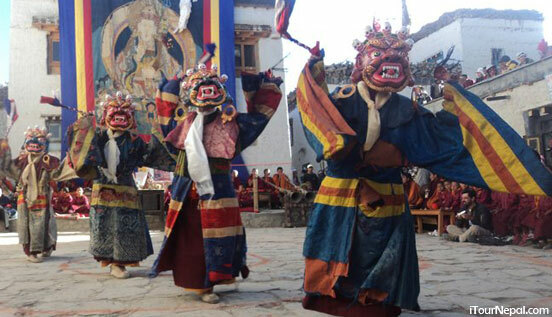 Explore the eastern valleys and the Nyphu and Gharphu Monasteries before returning to Lomangthang. This trip is 12km (5-6 hrs) round trip. 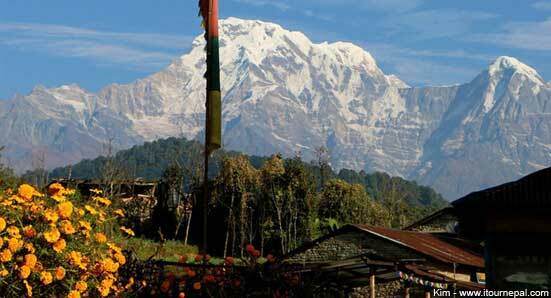 This will be another roundtrip day excursion to explore Namgyal, Tingkar and the valleys to the west (7km/4-5 hrs). Best cars, quick response, easy booking. 1 hr flight to Mt. Everest leaves every morning from Kathmandu. This is the best way of sightseeing 5 out of top 10 highest mountains in the World including Mt. Everest.